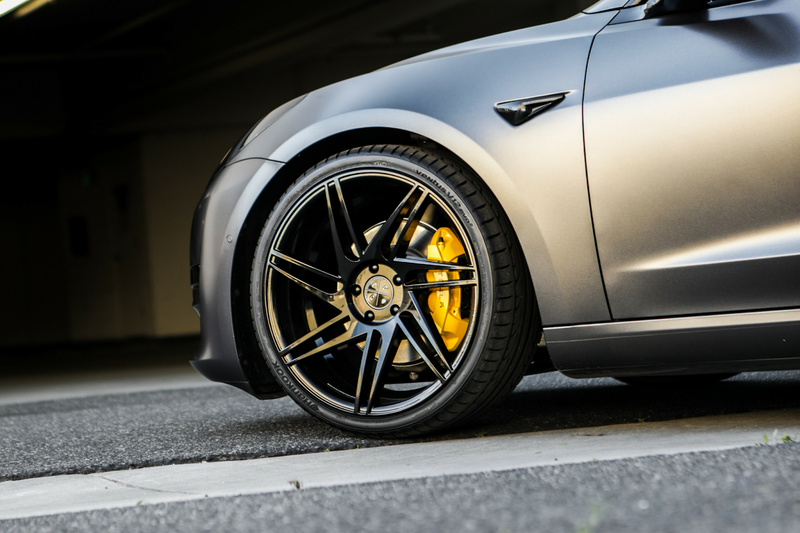 Blaque Diamond is a wheel manufacturer of Staggered, High-End, Luxury wheels for cars like Audi, BMW, Mercedes-Benz, Lexus, Land Rover, Ford, and more. Tesla's intended goal with the Model 3 was to introduce an all-electric vehicle for the masses. Turns out the Model 3 was direct competitor with luxury compact sedans from BMW, Mercedes and Audi. 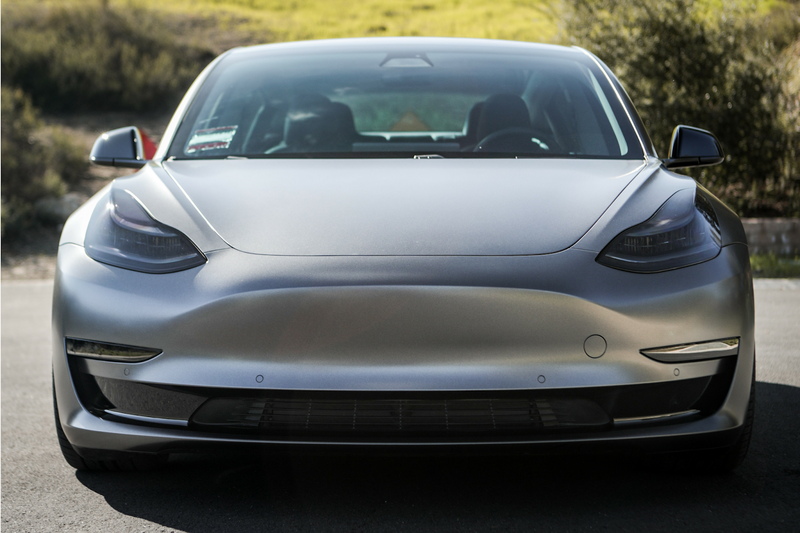 When the Model 3 was originally announced, Tesla made the claim that this will be the most affordable long range full-electric car. Well about 3 years later, the promised 35k model was finally announced this February. The standard model will earn you up to 220 miles of range all the way up to the long range version which will allow for 325 miles of range. Model 3's have been popping up everywhere, especially if you live in heavy populated metro cities such Los Angeles. Almost everywhere you look you will see one of these things whizzing by. So how does one stand out in a world full of Model 3's? Well, our friends over at Fantazy Motorsports in Thousand Oaks, CA have the answer. 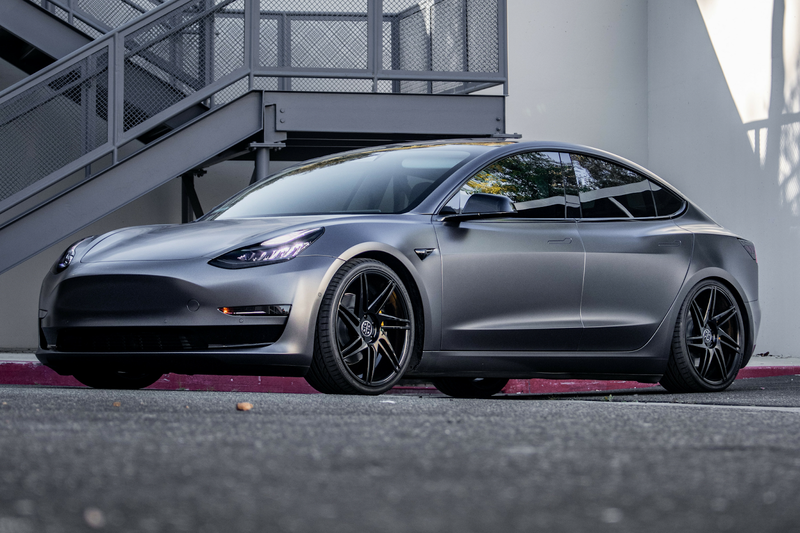 They have transformed your average Model 3 into something truly stunning. First order of business is always the wheels. No outfit is complete without a clean pair shoes. 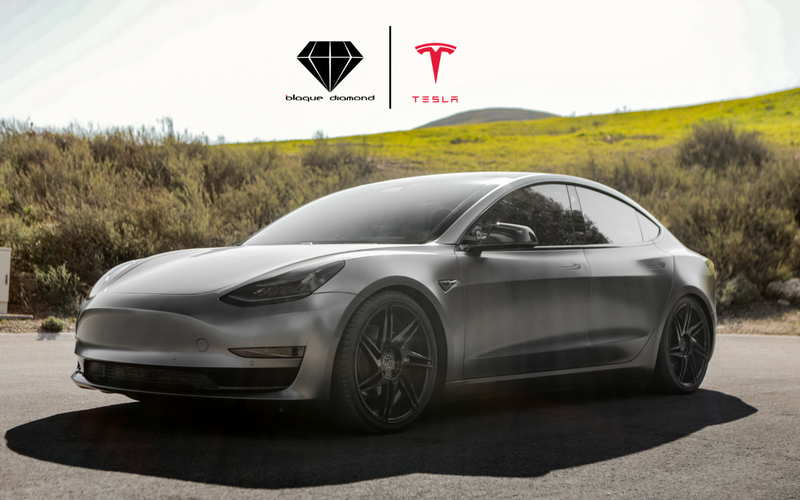 The Tesla is rocking a Blaque Diamond original, the BD-1 in Gloss Black. But it wouldn't be a FM build if they weren't pushing the limits. 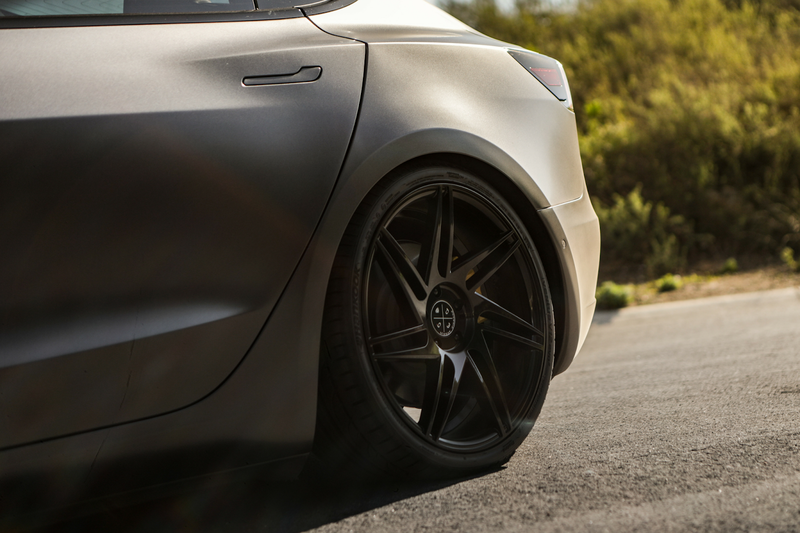 They have mounted a set of 20x9 on all four corners wrapped in 255/30/20 Hankook Ventus V12 Evos. To top it off, they have wrapped the car in an intimidating matte gunmetal finish. The entire car comes together with the yellow painted brake calipers. The BD-1 is available in sizes of: 20x9 / 20x10.5 / 22x9 and 22x10.5 with standard finishes in Gloss Black and Silver w/ Machined Face. If that isn’t enough though, there are hundreds of different custom colors and finishes to choose from to truly personalize your ride. The depth of concavity makes the BD-1 appealing to a different range audiences. They can be fitted with most vehicle makes including; BMW, Mercedes, Audi, Range Rover, Lexus, Infiniti, Chevy, Ford, and Honda, just to name a few.